Home Fashion & Entertainment Can Africa's biggest star fill the Teslim Balogun Stadium? Can Africa's biggest star fill the Teslim Balogun Stadium? In 2016, Starboy has gone from the next big thing to the undisputed face of Africa’s music. He came into the year riding the buzz of his hit single “Ojuelegba” , and two massive collaborations: “Soweto Baby” with South African powerhouses DJ Maphorisa and DJ Buckz , and “Roll Up (Re-Up)” with Emtee . But things really picked up when Drake snapped him up for his chart-topping summer anthem “One Dance”. Since then, he has won a slew of awards, the most notable being the nod for Artiste of the Year at the MTV Africa Music Awards. You can be forgiven for thinking he’s done though, because he isn’t. Yesterday, on the 10th of November 2016, Wizkid tweeted "#TeamWizkid homecoming concert in lagos looking live!! i cut all VIP tickets! No VIP we all one! One price for all! Date in a bit!" at his 2.3 million fans. It was meant to be an update of sorts on the concert that would welcome him home from a year of globetrotting. In response, one of his fans, Twitter user @casted_dammy asked that the concert be held at the Teslim Balogun Stadium in Surulere . It sounded like a terrific suggestion, the stuff of Eureka moments. And Wizkid thought so too; he tweeted at the Lagos State Governor asking for permission to use the venue. 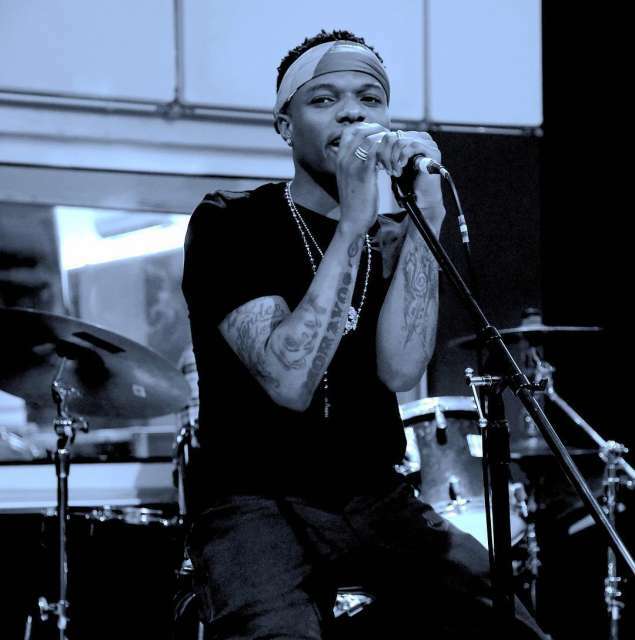 Ultimately, security concerns mean that the arena will not host the concert, but it got us wondering: Could Wizkid fill up Teslim Balogun Stadium if he got the chance? Nigeria does not have an active concert culture. We have the biggest stars on the continent, the millions of teeming fans and all the space we could want, but the shows are in short supply. It seems mostly due to constant security problems; the fear of going to see live music and coming home in complete pain and sorrow. There’s also the problem of cost, not everybody wants to pay five thousand naira to stand in the heat and enjoy body odor for 5 hours because of Wizkid, or Olamide , or anyone for that matter. Star Trek , only Phyno has gone near the idea of a proper stadium concert. Chuba Ikpeazu Stadium in Onitsha for the 2015 edition of PhynoFest . Before that, courtesy of Nigeria’s obsession with Makossa , Awilo Longomba filled the National Stadium, Surulere in 2000. Wizkid’s case seems completely different. No act has enjoyed this much of a high since D’banj dropped “Oliver Twist” and got us asking for more that would never come. Also, he hasn’t done any major shows in the country since the start of the year, and with the list of hits he’s dropped, it would be the perfect time to hold a concert for the fans. Add that to the fact that he’s finally coming into his own as a stage performer and you might just have all the reasons why the concert should be an overwhelming success. Being Young Pablo , though, does not exempt Wizkid from the basic problems that any other artiste would face; price and security. Then, there’s Lagos itself; during the festive season, the city is a difficult place to navigate. Fans would have to deal with the trouble of getting in and out of the area surrounding the venue; many tears of frustration will be shed on that day. Then there’s the problem of managing things at the venue. We are not really popular for our decorum; imagine the scenes when Wizkid remembers that he can throw money to his people. The bid to make the Teslim Balogun dream a reality has since been shut down as Wizkid says he will inform fans of the venue and date for his homecoming concert. The jury here is still out on whether or not he can pull it off, there’s little we can do than wait to see if he’ll try again.